Create your own custom message with the Trodat 4911 Do-it-Yourself stamp! 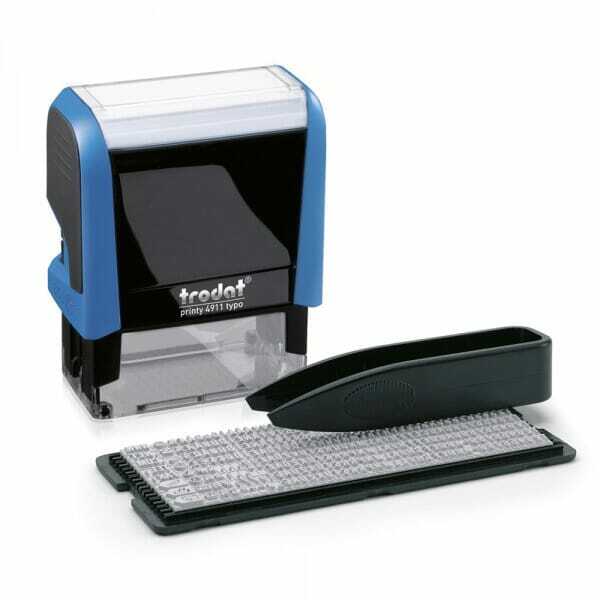 The Trodat 4911 DIY stamp features a maximum text plate size of 9/16" x 1-1/2" inch and allows for up to 3 lines of text. The Trodat Printy 4911 DIY contains post-consumer plastic and is a climate neutral product, so you can feel good about helping the environment. The replacement ink cartridge 6/4911 is available in black, blue, red, green or violet. Replacement pads are supplied in packs of three. Customer evaluation "Trodat Printy 4911 do-it-yourself (DIY) stamp"